Redbox is bringing the convenience of on-demand streaming to physical media rentals! 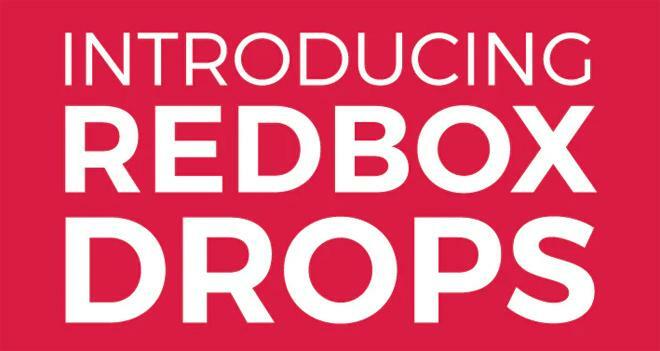 Redbox has announced the launch of its new Redbox Drops service, bringing full-size Redbox Kiosks right to your doorstep! The new drone service delivers a full-size, 700 lb. Redbox kiosk directly to a customer's door. Users can then select the title they want, pay for their rental, and watch the box get whisked back away into the sky. Then when users are ready to return their disc, the drone can bring the kiosk back -- no trips to the store necessary. And who says physical media rentals aren't as easy as on-demand streaming? CLICK HERE for more information on Redbox Drops. And to help celebrate the launch, Redbox is also offering new users 25% off their first Redbox On-Demand rental. The coupon is good for today only, April 1, until 11:59pm PT. Redbox currently has more than 41,500 rental kiosks nationwide and is continuing to add more. Redbox DVD rentals start at $1.75 per night and Blu-ray rentals start at $2 per night. In addition, the company recently launched 4K Ultra HD Blu-ray rentals in select cities. Likewise, beyond physical media, Redbox also offers a growing assortment of On-Demand digital rentals as well.